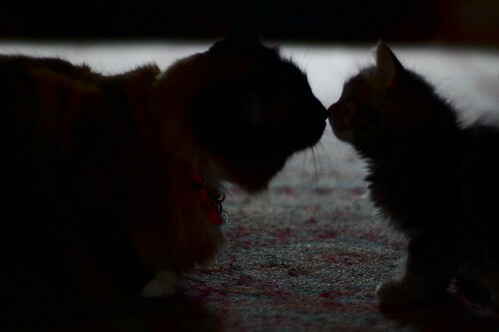 The Itty Bitty Kitty Committee: Happy Mother's Day! Happy Mother's Day to all who love and nurture. We hope your day is a special one. Happy mother's day to you and all the mothers out there who nurture their human and their fur baby children! Happy Mother's Day to Bean and Laurie - you have "mothered" many kittens and given them a great start to life. Thank you. Sweet and loving photo! Happy Day! Happy Mother's Day, Charlene and Laurie. You two really are the definition of "mother." Great post! It's so true. Happy mother's day to you! thank you for this post. happy belated mother's day to you too.